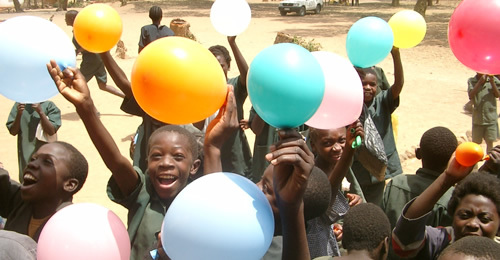 Water for Kids involves the community right from the start. They are involved with the location and construction of water points. 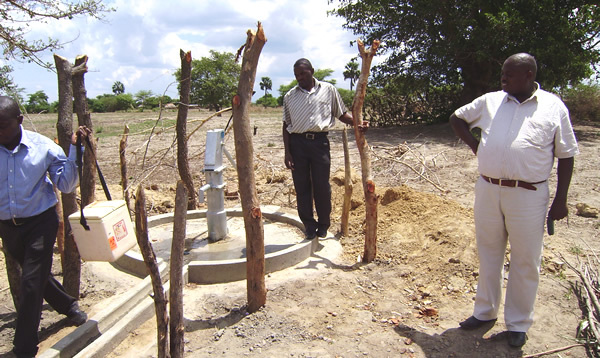 We work with the village Water Committees which look after the projects once completed. We also train village Pump Menders to speedily carry out repairs and Hygiene Promoters to encourage good practices and the building of latrines and tippy taps for hand washing. The local EHP is also involved throughout each project and continues working with the community long after the project is complete. Water for Kid’s (WfK) key to success is working with our fellow environmental health professionals (EHPs). We are all committed to providing safe water, sanitation and hygiene education to reduce the spread of water-borne diseases. The Zambia Institute of Environmental Health (ZIEH) has been managing WfK projects in Zambia since 2005. A past president expressed commitment to the partnership, he said “we see the importance of sharing the little resources we have with those in great need”. 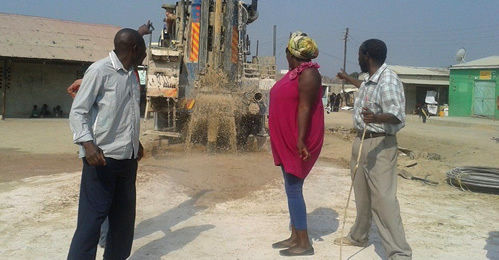 Edgar Mulwanda, ZIEH Secretary and Environmental Health Manager at Lusaka City Council, manages the WfK projects on behalf of ZIEH ably assisted by Philomen Yona. In 2012 WfK started its first project in the Western Province of Zambia with Kaira Gunda of Kaoma Environmental Restoration Initiative. He trained as an Environmental Health Technician and has many years experience of working on water and sanitation projects with NGOs in Zambia. Muzamiru Bidondole, Godfrey Maka, Gideon Byekwaso with Peter Minhinnett | Godfrey driving with Gideon on the new transport. Our Team in Iganga, Uganda is led by Muzamiru Bidondole, assisted by Gideon Byekwaso and Godfrey Maka. 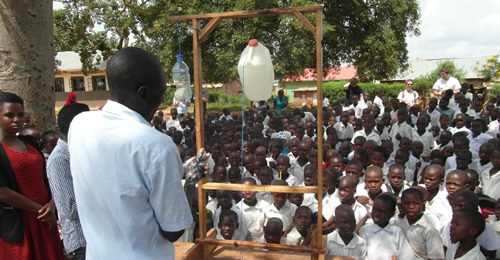 Muzamiru is the Acting Health Inspector for Iganga Municipal Council (IMC) and has been working with Water for Kids since 2005 when WfK first started funding projects in Uganda. He is very experienced in all Public Health Matters especially anything relating to safe water supplies. He is continually being asked to assist local communities with the provision of safe water and checks all requests for suitability before referring them to WfK Trustees for consideration. He is also an excellent trainer and leads our training projects towards Community Leaders, setting up Water Committees for all our projects and also lending a hand with training again with communities and local schools. 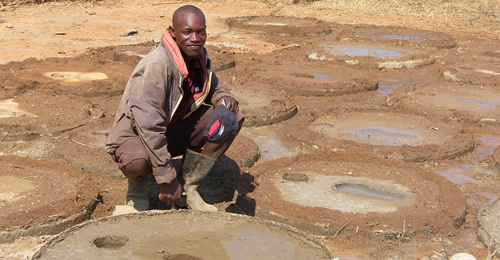 He is ably assisted by Gideon Byekwaso who has a degree in Environmental Science and recently has got more involved with projects including visits to check quality, sampling and any need for repairs. He also assists Muzamiru with training. Godfrey Maka has been a friend and willing helper to Water for Kids for many years and is always available to assist with physical work where needed. Recently WfK offered Godfrey the chance to be trained as a Pump Mender and on completion have provided him with the tools to carry out maintenance and repairs on our behalf. In addition we have purchased a motorbike locally and Godfrey now drives accompanied by Gideon as passenger to check on water sources and sampling where necessary. The provision of this transport allows Muzamiru to organise the work in Iganga District and save on the use of his own motor car. Godfrey and Gideon can also carry out their work when Muzamiru is not available due to his full time work responsibilities for IMC.